The exit ramp from northbound Interstate 75 to State Road 52 in Pasco County is closed because of a truck that caught fire. 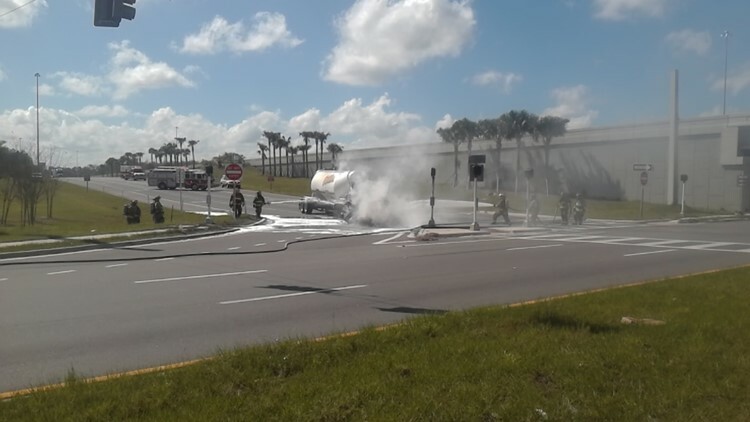 SAN ANTONIO, Fla. — The exit ramp from northbound Interstate 75 to State Road 52 in Pasco County is closed because of a truck that caught fire. Crews are working to clean up the roadway after the fire, according to the Florida Highway Patrol. It's believed a fuel line on the tanker caught fire. Troopers say it was carrying a natural gas container, which was empty. I-75 was shut down in both directions for some time but is reopened to traffic. The northbound exit is expected to be closed for some time.